So this week, I’m paying it forward. A friend showed me this movie for the first time because I hadn’t seen it before. I proceeded to fall in love with it, so I’m doing the same for Aaron. I’ve been excited for quite some time once I added this to the calendar. We’ll talk about the reasons I love it so much below, so let’s not waste any more time. Last week Aaron and I caused a riot when we reviewed Scarface. This week Michael takes Aaron out from under the proverbial rock on Gattaca. Michael Ornelas: I’ve been excited about this one because the themes of the movie resonate so much with me. It’s become a favorite of mine over the past couple years and I think it’s just such an interesting story. I had to show you — I had no other choice. Aaron Hubbard: I’m so glad that you did. I’d never even heard of this film before you brought it up to me, and I probably wouldn’t have gotten around to seeing it were it not for this column. Gattaca is awesome and definitely something I’ll be rewatching; I’ve genuinely got to thank you for this one. Michael: The theme of this movie, to me, is the idea that not only are we capable of exceeding our potential, but that we should also question our perceived limitations and work beyond them instead of around them. Vincent Freeman is one of my all-time favorite characters because he sets a goal and just works and works and works until he gets to accomplish it. Sure, it involves deceit, but it also outwits an unfair system determined by probability instead of facts. He is such an inspirational character and I get choked up (from joy) at so many different points in the movie because of it. Aaron: I feel like that’s likely to happen to me the next time I watch it. Vincent is a character that’s easy to relate to for me; I don’t have to stretch my imagination to feel like everyone else around me got more advantages. Not to throw a pity party for myself, but I was born with asthma and Asperger’s syndrome, and I remember wanting to be “normal” even in pre-school. I don’t blame those things for holding me back from whatever success I could have had; it would have helped if I had Vincent’s drive. I definitely could have used Gattaca in my teens. Michael: It’s a very powerful message. It’s the ultimate underdog story. I am a self-described “triumph junkie” and I think that’s why I’m so drawn to this movie. I love the story of a guy who sets a goal, has obstacles, and then overcomes them to achieve. It’s literally every underdog story ever, but they’re made or broken by their execution and Gattaca exceeded any expectations I had for it before I first saw it. Aaron: When someone says “science fiction”, I think people expect something a little flashier than Gattaca. And I don’t just mean Star Trek or Alien, but even something with a smaller budget like Ex Machina. I really liked how this film uses futuristic ideas that don’t require a lot of high-end effects. It feels more like a future that might be possible in my lifetime, and allows the themes and ideas to make more of an impact than the sci-fi elements. Michael: That’s a point I honestly never considered, but you’re totally right. This does resemble an attainable future (but hopefully we aren’t classifying people by their genetic predispositions. The comparison to Ex Machina is apt because I like them both in similar ways — they both excite me for their simplistic premises and flawless executions while not needing to do as much as other productions in the editing room. We get stuff like space travel, but it’s presented like the rocket ship we’ve all familiarized ourselves with. We experience genetic modifications which we know might be possible sooner than later with how well science understands our DNA. Everything is a variation on an already existing thing and that’s what makes it attainable. Aaron: Well, as they say, they’ve got discrimination down to a science. The only problem is that they only account for a control group, not realizing that it’s impossible to measure heart and resolve, or to fully account for fate. Michael: The tragic half of this tale comes from Jude Law’s Jerome Morrow. He’s the yin to Vincent’s yang. While Vincent is a tainted specimen trying to prove he’s relevant to society in every way others may be, Jerome had everything from birth and an accident took that away from him. He’s going in the opposite direction while simultaneously having a similar arc of trying to be more than he is. He’s an alcoholic and temperamental, but he’s also literally sacrificing his body to help another man achieve his dreams. The fact that Vincent’s triumph means Jerome has nothing left to live for is tragic, poetic, heartbreaking, and heartwarming all at the same time. It wasn’t romantic love, but there was definitely an unconventional love, admiration, and respect that was unspoken by Jerome. I feel Jude Law knocked this performance out of the park, and he also gave one of the more powerful moments in a film full of them when he ditched the wheelchair to show his resolve as he pulled himself up the stairs just to save Vincent’s alibi. Aaron: Indeed; there was nail-biting tension in that scene. I also agree that Jude Law was a great pick for the character. Honestly, the whole cast is well-selected. In a somewhat less obvious case; Uma Thurman’s character is similarly handicapped by her heart condition. She gets to work in the place she wants to work in and serve an important role, but can’t ever be part of what matters most to her. She’s the middle class; able to attain some success, but not all of it. Michael: And lastly, Anton himself (Vincent’s “perfect” brother) is broken. Not physically, but in his resolve. His reservations and insecurities kept him from being the best he could be, symbolized during the swimming scene toward the end. “I never saved anything for the swim back!” represents diving in and giving your goals your absolute whole self and effort. It’s admirable, and the lack of that mindset is what made Anton fall short of his older brother. Aaron: This has been one of the more pleasant surprises for me in the history of this column. I love the themes, the performances and the sci-fi ideas and look forward to watching it again. Michael: This movie just resonates with me so much that I can’t help but give it the top score. 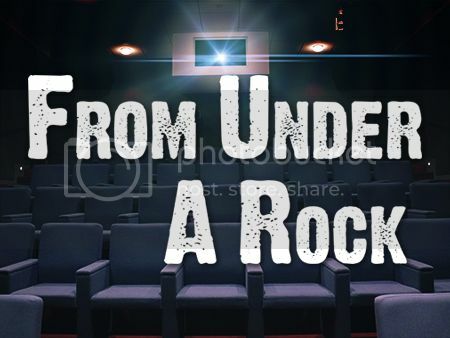 Nothing in the film is weak; it’s shot uniquely, the acting ranges from capable to stellar, the story tugs on my heartstrings, and the themes are as powerful as any. We just watched this movie and I’m already in the mood to see it again just from this discussion. Aaron: Something else I really appreciated about this; all of the actors are “known”, but not necessarily big names. Uma Thurman is the closest and that fits her character, but I love that someone like Ethan Hawke was cast in this. I don’t think having Tom Cruise would have had the same effect. This movie: real good, right? Aaron: Next week, I’m going to initiate you into one of the biggest cults in film history. 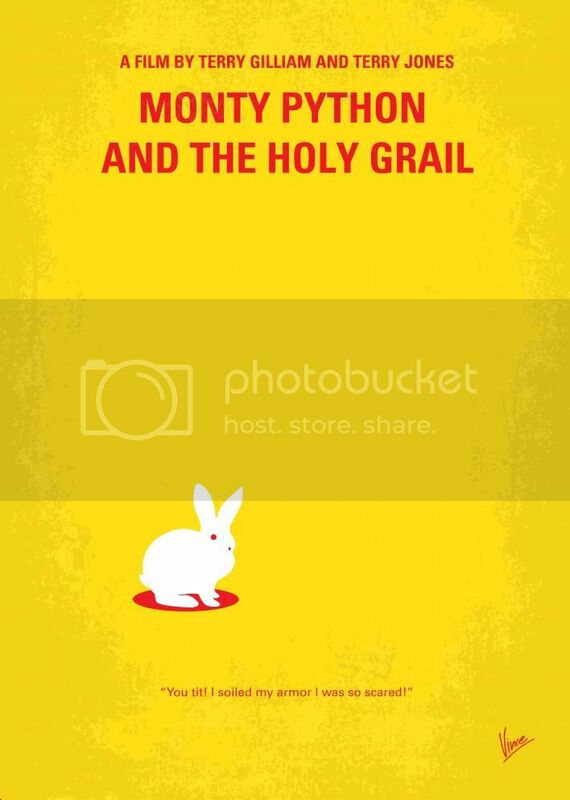 Michael: Blasphemous though it may be, I haven’t really enjoyed what Monty Python skits I have seen. I’m still looking forward to this in hopes that it sways me in the other direction, but we shall see. Aaron: Just remember not to take any of it seriously; the cast certainly isn’t. Is it an African Swallow or a British Swallow? In this week’s episode, Michael reviews Xavier Woods! That’s all you need to know! Stay tuned all the way through for a surprise that most definitely ain’t booty! Suicide Squad divided audiences and critics and conquered the box office last week. 411 Comics Showcase looks at the history and characterization of one of the film’s top stars; Deadshot! Check me out here to see my star ratings for 400 films. I will steadily be adding reviews for them as well as creating various lists that you can disagree with! Gattaca features a stellar cast and a tight script, but it excels largely because it does what science fiction does best. There are plot elements that aren't possible, but feel plausible, forcing us to ask questions about the implications of scientific discovery. Gattaca uses the scenario to discuss things like class conflict, nature vs. nurture, quantifiable facts and intangible variables, and the strength and will of the human spirit. Gattaca ponders, challenges, and inspires.